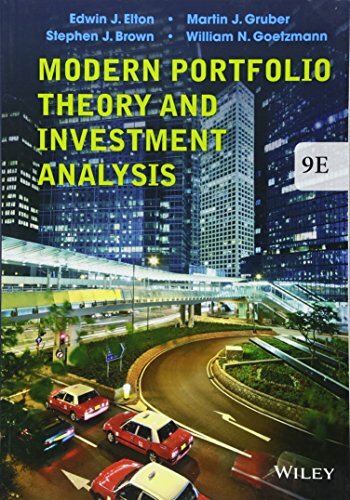 An excellent resource for investors, Modern Portfolio Theory and Investment Analysis, 9th Edition examines the characteristics and analysis of individual securities as well as the theory and practice of optimally combining securities into portfolios. A chapter on behavioral finance is included, aimed to explore the nature of individual decision making. A chapter on forecasting expected returns, a key input to portfolio management, is also included. In addition, investors will find material on value at risk and the use of simulation to enhance their understanding of the field.